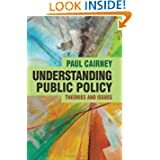 Understanding Public Policy 2nd edition? Almost. I have done a full draft that I will redraft one more time following external feedback and review (then during copy-editing). I am hoping that you might also read some of it and give me feedback, if only to point out big mistakes before it is too late. 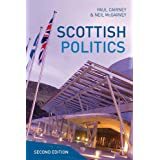 To be honest, by this stage, I won’t be adding major new sections or chapters (and I no longer want to read this thing), but please let me know if there are big gaps that I should fill in the third edition. 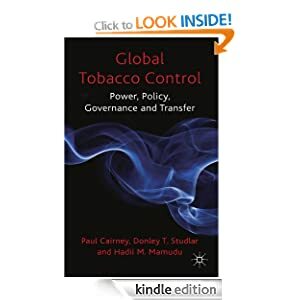 I have included below the introduction and conclusion (and each chapter should also have its own entry (or multiple entries) in the 1000 Words and 500 Words series) and invite you to get in touch – via email or Twitter DM – if you would like a copy of the whole thing. Tagged as advocacy coalition framework, agenda setting, agendas, combining theories, complex government, Complex systems, complexity, complexity theory, epistemic learning, evidence, evidence and policy, evidence informed policymaking, evidence-based policymaking, evolutionary game theory, evolutionary theory, facts, feminism, game theory, good evidence, Government, hierarchy of evidence, I'm knackered, iad, ideas, institutional, institutions, learning, Making Policy in a Complex World, multi-centric governance, multi-centric policymaking, Multi-level governance, multi-level policymaking, multiple streams analysis, narrative policy framework, Policy, policy analysis, policy change, policy communities, policy design, policy failure, policy learning, policy networks, policy process, Policy studies, policy theory, policy transfer, policymaking, Political science, Politics, power, practical lessons from policy theory, Punctuated equilibrium, punctuated equilibrium theory, science, social construction, social construction and poliicy design, social construction of target populations, social construction theory, social-ecological systems, socioeconomic factors, Storytelling, Theory, what is policy?